UPDATE 11OCT07: Just this morning the Regional Office of this manufacturer sent out an e-mail to those registered that they have arranged for parking 500 to 750 feet away from the dock. While this is good news, it is very late (two days before the event) and still rather distant. I wish everyone going on the cruise a wonderful time! A manufacturer that I greatly respect and am very pleased with, has annual “Owner Appreciation” events around the United States that are free events to any and all current owners of their product. There certainly is no requirement that they do this, and the fact that they do it anyway is greatly appreciated. Over the past three years I’ve attended these events, and greatly enjoyed them, and expressed my thanks – in fact the last local annual event I even worked the ‘entry’ position for a few hours directing hundreds of vehicles to proper parking areas and answering questions (didn’t get so much as a T-shirt). Even with the best of intentions, though, some parts of the planning consistently slip through the cracks in these events (and others sponsored by the same corporation). Next year, parking was provided for the mobility impaired at both event areas, and there were many more restrooms provided at the first area – still 300-400 feet from the center of the area (admittedly a contractor error). It is understandable that the able bodied don’t recognize the difficulties faced by the handicapped, and can easily overlook their needs. HOWEVER, when they are repeatedly reminded beforehand of the need to have accommodations for the handicapped and still fail to respond to those needs, it becomes obvious there is a deep systemic problem. Another series of events is planned this year, and once again, during the early planning stages and many times thereafter, reminders that not everyone is hale and hearty were repeatedly sounded. Again, little to no actual consideration for the needs of those with handicaps actually made it into the final plan. The event this year is a dinner-boat cruise in the Seattle’s harbor and nearby Puget Sound. The boat itself actually has some accessible areas, but parking is an unplanned, ill-considered nightmare. Attendees are told that the tour company has no parking, and that they will have to find either someplace on the waterfront streets to park, or perhaps find a parking lot or garage within a few blocks (one block is anywhere from 300 to 600 feet). What arrangements are available for handicapped parking for a ‘customer appreciation’ brunch cruise (already scheduled) on the Royal Argosy? Can you provide directions to your closest handicapped parking? There is no Argosy Cruises designated parking, handicapped or otherwise. There is public meter parking available across the street from Pier 56 on Alaskan Way that is free on Sundays. To the best of my knowledge, there aren’t any designated handicapped spaces. If you require special accomodations, you may arrange to drop off handicapped individuals in front of the Pier 56 building and then park the car elsewhere. There is a 15 minute load and unload lane on the west side (water side) of the street. If you have further questions, please call Argosy Cruises at (206) 623-1445 and ask for Guest Services. The problem with “drop off handicapped individuals in front of the Pier 56 building and then park the car elsewhere” is when the DRIVER is handicapped, and arriving solo. I’ll refer this on to the folks doing the event planning for this 400 person bash, and see what plans they have for ADA compliance for the event. As is evident, this one also fell through the cracks. For Portland, the parking is obvious and easy, in a lot right near the dock (this includes handicapped parking right near the ramp, per the cruise operator). In Seattle the parking is more complex. On street if possible, or remotely located open lots – in the waterfront area… Per the tour operator, they know of no assured close-by parking and no handicapped parking. Not only are some folks leery of parking [customized vehicles] on the street or even in unsecured lots in that area, but those with mobility limitations (there are a few) have no assurances they can get close to the dock. Some guidance and hints on where to park and what arrangements need to be made would be helpful. As the time for the cruise approaches, with no reasonable solutions forthcoming, I will probably simply cancel my reservation. I just realized that I changed the image at the top of my blog from a B-52 on takeoff to Mt. St. Helens without mentioning it. Recently a group of Scion owners here in the Pacific Northwest gathered for a “cruise” to the Mt. St. Helens observation center on Johnston Ridge, followed by an excellent BBQ and potluck picnic at Seaquest Park on our way back to civilization. A fine time was had by all, and many quite excellent pictures were taken. I even took some pics. One of those pictures I took was a panoramic view of St. Helens, a small version of which now graces the top of my blog. I first got to see the new Scion xB2 back in December at a private unveiling. Recently I got to learn a lot more about it and to drive it. No question, I was impressed with the handling, braking, quietness, smoothness and power of the new xB2. I believe the engineers and designers have come up with a real winner. I’m a Scion xB owner. The OLD xB. One of those small, very boxy, City Cars built by Toyota. If I were buying a vehicle specifically for highway travel, it would probably not have bought the box. I specifically bought a “City Car” or “Urban Utility Vehicle” that was superb in such use (tiny, nimble, roomy, easy access, excellent visibility, economical, inexpensive, practical). Less than 5% of my driving is outside the city environment, and I bought a vehicle to match my needs and desires. 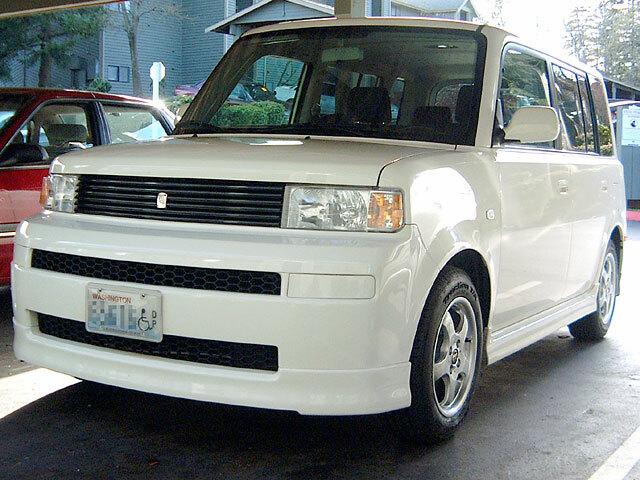 The new xB2, while it seems an excellent vehicle, and is designed as closely as possible to match the wants of those unhappy with the original xB (Scion followed very closely the answers they got to the question “What should we change?”), is not really a “City Car” but a step in the evolution toward a more “universal” middle-America car – longer, lower, wider, more power, heavier, quieter, more shiny knobs and flashing lights. The new design actually is a good one – I’m personally impressed how well it answers the suggestions of those who didn’t care for features of the original xB, and had different needs. I’m also impressed with what one gets for the money. The vehicle is a bargain. But please don’t think that it is a little “City Car” in the same class as the original xB, it is not. It is a tC station wagon, a step toward a fancy, funky, fun, family function vehicle for young Middle America. I’m a city dweller. My vehicles are used primarily on city streets. When I needed to go off road I had Land Cruisers, Jeeps, and a lone Ford Explorer. When I needed to cruise the highways I had Volvos, Plymouths, Chevy’s, and one misplaced Porsche. NO vehicle can be the best at everything – there is no combination Ferarri/Peterbuilt/Lincoln/Jeep/Prius that can go like a nimble bat-out-of-Hell, carry massive loads, cruise the highways in superb comfort and quiet, and cross a mountain range without a road, all while getting amazing gas mileage. All vehicles are compromises. Each of those compromise vehicles have a very narrow range of things they are designed to do excellently, and a wider range of things they can do if necessary. The compromises in the new xB2 are different than the compromises in the old xB, and that is not a bad thing, it is just a slight shift in focus. The new xB2 blends in with the rest of the cars on the American landscape better than the original xB. Its compromises are different, and it is more able to meet the average US uses. It isn’t as narrowly focused. Maybe it was felt that the original xB was too “different,” and the line needed to be refocused so the folks in Podunk wouldn’t complain that it wasn’t comfortable for the weekly 75 mile drive to Wal-Mart. The new xB2 doesn’t do the “City Car” routine as well as the original, but it can still do it. The new xB2 does, however, match the ‘wide open spaces’ of America better. I’m sure that the new xB2 would be a lot nicer on my drives to Montana, but my old original does the job just fine, since those long drives are less than 1% of my time in it, in the average year. The other 99% of the time, my xB Classic is in it’s “comfort zone” and is doing just exactly what it is designed to do. Got the little Salsa Red Pearl 2006.5 Scion xA back from Lakes Autobody on Thursday. When we went to pick her up, there was a little bit of light overspray on the front bumper, but about 30 seconds of work took care of that. Detailed inspection of the work leaves me rather amazed. Even knowing what areas were worked on, I actually couldn’t find any clues that would indicate there had been bodywork other than the slight mist of overspray on the front bumper and a bit of the OEM sealant that had held the rearmost sidewindow to the body before it was cut to remove the window. A quick polish of the bumper and throwing away the bit of sealant laying in the back, and the little critter looks like new. An amazingly well done job. The shop she’s in is Lakes Autobody on Steilacoom Blvd. in Lakewood. They were recommended, and the detail description they gave of what they will do to repair the xA fully described doing the job correctly. With luck all will be back in good shape by the end of the week. Note especially in these views the tremendous difference in the rear hatch sizes, and the height of the cargo and passenger areas. The vehicles are similar in length and width. Well, that’s nice, but the “space efficiency” of the xD is NOT the same as the space efficiency of the xB Classic: The rear hatch and load space are much more limiting than on the xB Classic. The xD is a very nice compact hatchback, but there is NOT any way it is as easy to load, nor can it handle the bulky items that the xB swallows without complaint. Also, the driver/passenger access is much poorer on the xD. Yet another crouch-to-enter small car. Tom think of it this way, IMO…for anyone to espouse that the “car they want next” is even “heard” by a manufacturer sets you apart from 99.0% of the rest of the planet….you folk have an impact on what comes next. As much as you’d like to deny it….scionlife can dictate model changes….they may just be model changes you functionally fixated folk have a tough time swallowing. What may have fallen through the cracks, though, or at least fell below the threshold of being actively noticed, is the even larger group who DIDN’T demand those changes – those who were essentially saying by their silence that the now discontinued Scion vehicles were very appreciated and met their needs and desires. If *I* were to have been asked what changes I would like to see in the xB Classic, mine would have been very simple and direct: Cruise control, side airbags, and slightly more substantial front and rear pieces that could withstand having another car gently bumping or brushing against them in parallel parking – without damage. I’m one of the silent ones who did NOT find fault with the original, because 99 and 44/100ths percent of it fully met my needs and desires. I wouldn’t be one to say don’t innovate – innovation is one of Scion’s strong points, innovation and taking chances. I fully believe that the new xB2 station wagon will be a strong seller, and will have an avid following: It is a well designed, well put together vehicle specifically designed to answer to the customer’s desires. Same for the new xD. Neither one, however, is a continuation of the City Car theme first introduced to this country with the Scion xB Classic. Tiny car, tiny engine, massive interior space, sophisticated simplicity (minimalism), and undeniably form-follows-function VERY MUCH OVER form-follows-fashion. Yes, the xD, for example, may have been intended to be a follow-on design for the City Car theme, but each and every extra curve and flowing line added, subtracts from the utility and usability of the vehicle in the City Car functions. Rounded sides, top, rear, and hatch opening? Reduction in usable interior space, even with the same size exterior. A one foot cube holds MUCH more than a one foot sphere even though both take the same size storage niche (parking space). Exterior curves placed solely for styling tend to make doors and other panels thicker, thereby also increasing the difference between usable interior space and required exterior space. The real beauty of the xB Classic was that the required exterior space was essentially the usable interior space plus only mechanical and safety required space. No corners trimmed off for looks and lost to utility. The original xB was a brutally unapologetic, efficient vehicle, and sophisticated well beyond what most can appreciate. There are a lot of very subtle things going on inside those flat panels that make it a pleasing and reliable little box on wheels. The xB2 is the redesign of that concept up into a totally different class of vehicle, to meet the expressed desires of the loudest 10 percent of those who either bought the box and found it wanting, or who refused to buy the box and said why. I doubt the silent 90 percent wanted their beloved boxes to morph into tC station wagons. Scion is doing an amazing job of listening and changing, in this instance it may be their customers who failed. 🙁 Only those with complaints seem to have said anything at all. Either from a lack of belief that anything we said would count, or simple apathy, the rest of us were silent. For whatever reason the (I believe) majority who appreciated their beloved boxes for what they were, didn’t make ourselves known. Tomas, you stated it all. I think after this next 3 year run hopefully people will realize what they lost in the xB classic (and yes everyone should start calling it that). I think like minded folks like us know what was so great about the idea of the car, the aesthetics aside. I absolutely love the xB classic and I have since I first saw it. Unfortunately for me there was never an opportune time for me to get one. I missed out on a car based on the idea of a ‘City Car’ in every sense of the word. It was the first time I saw the American car companies “wake up” to what was practical in the rest of the world. I thought this car would start a revolution not only in design but in the idea of what cars in America could be. I am so utterly let down by Scion’s decision to drop the City Car from their line-up. 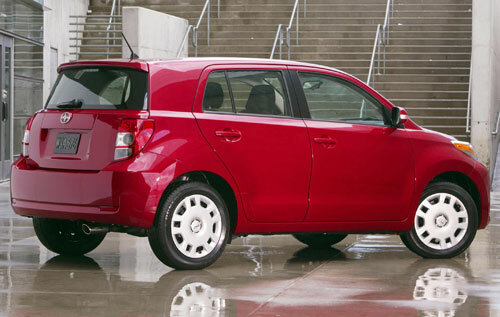 The new 2008 Scion models look to be great cars at excellent price points. Add in the quality of the design, construction, and customer care, and they will be excellent choices for those whose needs they meet. For those with serious UUV (Urban Utility Vehicle) “City Car” needs, one can only hope that a true replacement for the earlier Scion xB Classic appears. Scion (a marque of Toyota) ended production of two of their models, the xA and the xB (I have one of each) in December of 2006. My xB and xA are the 28th and 29th vehicles I’ve owned, and the xB is the first one in a long time that genuinely brings a smile to my face when I see it. To just give the briefest of overviews, the Scion xB is a US version of the Toyota bB Urban Utility Vehicle (UUV) or Tokyo City Car that has been sold there for many years. It is an odd, boxy little vehicle that is ideal for the urban commando, going from place to place in their normal life. Tiny on the outside, massive amounts of space on the inside, simple but sophisticated, reliable, economical – the ideal car to tuck into the cracks and crevices of city life, always ready to carry five friends, the luggage to the airport, one’s new large-screen TV set, or simply pick up the groceries. A friendly, unabashedly square little box on wheels. “I think a lot people are missing the point. The new vehicles are not being designed for current owners. You’ve already bought one, you’re in the family already. The new vehicles are being designed to appeal to people who have different tastes to you. Of course they’re going to look different! The xB2 will be bought by a different group of people – those wanting a “longer, lower, wider, more power” vehicle with more mainstream styling. The Scion tC station wagon people. 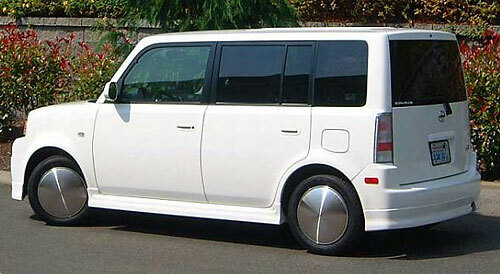 Those who enjoyed the very strict “form follows function” cubical City Car (Scion xB Classic) don’t necessarily want a foot longer, 4-6 inches wider, 3 inches lower, bigger engined, curvey and stylish station wagon/van/mom-car. BUT, while Scion is expanding it’s “Introduction to Toyota” market to a new segment, they have made an error, IMHO, in leaving those City Car/UUV people out in the cold: There is NO model in the Scion or Toyota lines in the United States that is at ALL a reasonable step to take when we retire our xB Classics. None. 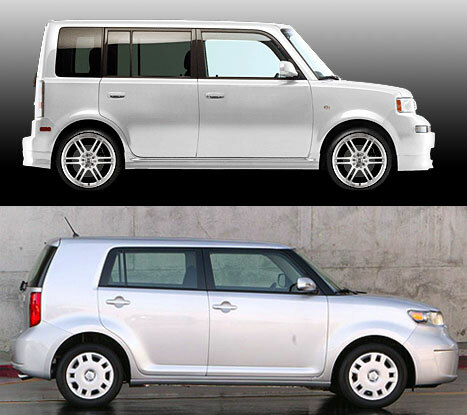 If Scion felt the need to ‘expand’ their appeal to a new segment, Scion/Toyota needed to look at the new segment they created in this country, and plan for replacements for the xB Classics that WILL over the years need to be retired. Those folks will be looking for a replacement, and there is nothing, absolutely nothing, left in that segment in this country. I’ll be keeping my little urban box until it’s wheels fall off, I can only hope that when I need it, there will be a replacement. Right now, there is NOT. Nope! One additional comment about Scion/Toyota abandoning the current xB Classic owners with no replacement vehicle – nothing else on the US market from ANY manufacturer to replace the “form follows function” City Car. The xB Classic was the only vehicle in that niche here (many others on a world-wide basis, but not here), and now there are none. ANYONE anywhere near the cutting edge of any business KNOWS that retaining customers is much more productive and much less costly than beating the brush for new ones. Scion was intended to be the “starter brand” for the Toyota family: Get people hooked on the quality and reliability of the Toyota family of cars and they would very likely look there first for their next vehicle. The plans made public were to have a logical pathway, one car to the next, one brand to the next. Start with a Scion, move to the Toyota, graduate to the Lexus as one moved through life. Scion’s first models were for the most part a very good starting point, and the model most identified with the Scion brand was that funny little box, the owners of which were nearly fanatical. In many parts of the world, compact, space efficient, simple but sophisticated, reliable cars are recognized as the ideal urban vehicle. Not 8,000 pound SUVs or 3/4 ton pickups, or 20 foot long luxury cars, but tiny vehicles with massive interior space – the “tardis” of automobile design. 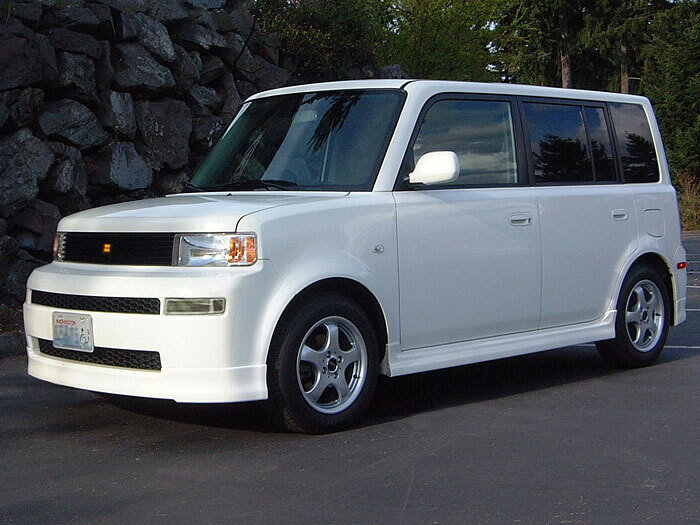 Anyway, Scion introduced America to the idea of the perfect city car: The Scion xB Classic. The logical thing to do, now that there was a fanatical following in that niche market, was to expand the market, offer an updated version of that class vehicle in the Scion line – or even in the Toyota line – to give people a place to call ‘home’ when it was time for a new vehicle. If the ‘replacement’ vehicle in that niche was a Toyota, it would be a logical stepping stone for Scion customers to move up to the ‘next level’ of the plan. 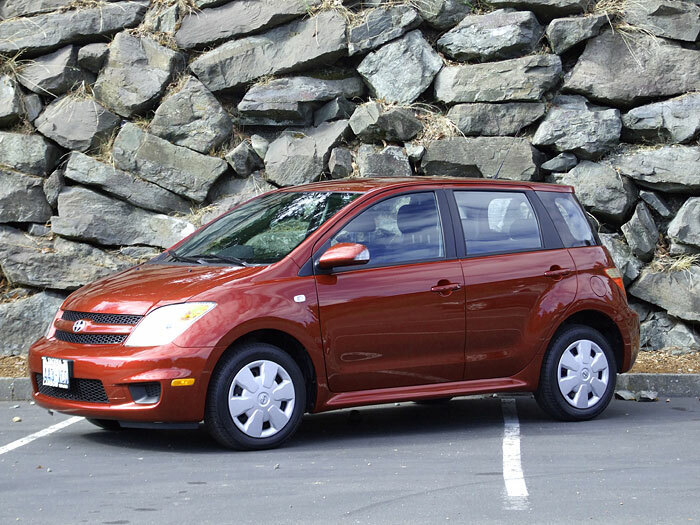 Instead, what Scion/Toyota has done is to introduce America to the idea of the City Car, to create a quite viable market for that class of vehicle, to build a strong, vehicle aware body of involved owners, then discontinued not only the model, but the entire class of vehicle in the United States. Scion/Toyota/Lexus should have established a path for their customers – a reasonable, logical, obvious, step-by-step path to follow for their replacement/upgrade vehicles. Many of the Scion folk probably plan on keeping their cars for two or three years, then moving on to a new one. If Scion/Toyota/Lexus doesn’t have that next vehicle in their line-up, there is a good chance Toyota could lose that hard-won customer to another manufacturer who does. Now would be an ideal time for Nissan to bring in their Cube, and for other manufacturers to look at the idea of a City Car for the US. Another space-efficient box on wheels. It’s not that I’m disappointed with the xB2 – it’s a nice vehicle and I’m sure it will do well, even if it ISN’T a replacement for the xB Classic. What I’m disappointed with is the planning folks at Scion and Toyota not offering ANY path to ANY vehicle when someone who needs/loves/enjoys/owns the Scion xB City Car needs a new one. The xB2 is a well designed answer to the vast majority of complaints people had about the xB Classic. It appears to me to be an easy winner, and I expect it to do quite well for Scion. The “complaints” about the new xB2 are not coming from the large number of folks who complained about the xB Classic – they, and the new group of potential buyers who didn’t/wouldn’t buy an xB Classic, will be lined up at the dealerships to get one of these tC station wagons. Yes, I seem to be a complainer, but what I’m complaining about is NOT the new vehicle – it’s a great answer to all the feedback Scion got about the xB Classic – but the fact that there is now nothing on the US market from Scion, Toyota, or anyone else, that offers a rational City Car. With the discontinuance of the xB Classic, that entire niche is now left vacant in the US. Scion/Toyota should have done some planning for having a vehicle available, when they dropped the xB Classic, in that niche market they created here. They found an enthusiastic, nearly fanatical, bunch of customers in that niche, and it is a shame that they don’t seem to have followed up on retaining them. That’s my first and largest complaint. My other complaint is their retaining the xB name for what is not just an different vehicle, but a different vehicle in a totally different class. I will be forever explaining to people, when I say I have an “xB,” that I have the real xB, not the new impostor. When Vanilla’s little wheels finally fall off, I will need a new vehicle. I’ll want another “City Car.” I hope that someone has one available in the US. It would be very nice if that someone were Toyota. It seems there are fewer and fewer people with any personal integrity about just doing their jobs right. More and more often we seem to end up disappointed if we expect someone to just do something with honesty or craftsmanship. Repair work seems to be especially lacking in even a modicum of workmanship and pride in a job well done at many shops. Having someone work on a vehicle is especially frustrating. Why does one so often get upset with the utter lack of quality in service and repair jobs? Is it just that the people doing the jobs don’t feel responsible for doing the job they are being paid for? It was large enough, and hit hard enough, that it actually broke both layers of the windshield – right in front of me, the driver. I pulled off at 124th in Kirkland to inspect the damage, and called my insurance company (Hartford). For glass damage, they have “SafeLite” field the calls for them. I scheduled my vehicle for the first available repair time, which was today. When the SafeLite technician removed the old windshield, we both saw that there was a fair amount of rust along the pinchweld at the top of the windshield. Closer inspection showed deep gouging of the paint and metal where the windshield had previously been removed for replacement. Those gouges had obviously not been primed or sealed when that job was done, which explained the rust on my vehicle at only 5004 miles. The only work on the windshield was done a year ago when Titus-Will Collision Center replaced the hood and windshield because of vandalism. While the SafeLite tech continued to remove adhesive from the frame, and clean the area, I called the Titus-Will Collision Center. I explained the problem, the young lady who answered said she would have “Pat” call me right back. That was at 1:07, and Pat called back at 2:37 (times per my cellular phone log). I explained to Pat what the problem was – rust around the windshield caused by damage done to the vehicle while in the care of Titus-Will Collision. Pat remembered me, and my Scion xB, and even recalled having the windshield replaced twice while there, because the first replacement had totally unacceptable workmanship. Pat asked if the new windshield was in yet (yes it was – the SafeLite tech is paid by the completed job, not the hour, and was on a schedule) and then asked if the rust was visible with the new windshield in place. I told him that no, the rust was not visible now that the windshield was installed, and that the SafeLite tech had put some sort of black ‘primer’ over the rust to try to protect against further damage. When Pat suggested I should have called before the new windshield was put in, I told him that I had – an hour and a half earlier. Why am I writing this detailed narrative about finding hidden damage to my vehicle? It is because, first of all, there is no excuse for it. None. Secondly, putting primer over the rust by the SafeLite tech may or may not prevent further rust. If it does not, SafeLite specifically does NOT cover any problems because it was a pre-existing problem caused by someone else’s poor workmanship. Since SafeLite has now replaced the windshield, my third reason is that Titus-Will can, and I expect will, simply look at any problems they caused as being moot because someone else has worked on that area and it is no longer their responsibility. This leaves me, the owner of the vehicle, shouldering the responsibility for potential further deterioration and expense caused by the hidden damage to the vehicle while under Titus-Will’s care. While Pat did promise to put some sort of note in my file about this, and told me to bring it directly to him should I have any further problem with the rust, I expect to have this vehicle for longer than I expect Pat to be at Titus-Will – and certainly for longer than he will remember anything about one insignificant vehicle out of thousands. This narrative is my attempt to record details ‘for the record’ and a start at making folks as publicly uncomfortable as possible for shoddy workmanship and sloppy quality control. What I expect when I pay for service is honest dealing and quality work. When I experience questionable honesty and/or poor quality workmanship, I become an unhappy customer, and a noisy one, in a very detailed manner. Since this isn’t something directly under your control, Lyle, I don’t hold you responsible for this, BUT since you are a part of the organization, I would ask that you pass this on to folks there more directly concerned and responsible. For now I need to write this up for further publication in the nation’s largest and busiest Scion site (ScionLife.com, where I am a moderator) and for publication in my personal Blog. I will let you know, right here, if there is any sort of response, or if my ‘complaint’ simply falls on deaf ears. I got a call from Lyle in response to my note. He did contact the manager of the Collision Center to discuss it, and the basic response was that Titus-Will Collision didn’t do the work (it was sub-contracted by them to another company) and they can’t afford to have someone watch everything the other company does. While both statements are true, they in no way absolve Titus-Will of any blame. Lyle also asked me where the “rust spot” was located and I explained it was NOT a “rust spot”, but a groove, gouged through the paint and into the metal, in the recessed area behind the windshield glass seal from about the top-center of the windshield to the top driver’s corner of the windshield, and that it was an interrupted line of rust 15-18 inches long and 1/8 inch wide. I also explained, again, that this was on a previously undamaged area of the vehicle, and that the damage was done when the vehicle was under the care of Titus-Will and hidden rather than corrected. I was told by Lyle that the next time I need to have the windshield replaced, I should bring it in to their shop and they would look at it. Sadly, we, as a family, have dealt with Titus-Will for decades, but as this is the ‘third strike’ in just over a year on this one vehicle, that likely will be changing. I like some of the people there, Lyle, Al, Elizabeth, for example, but as a customer I expect quality workmanship and honest dealing. If the ‘company as a whole’ fails in delivering, it doesn’t matter if I like the people there or not. I pay for results not friendship. There are three other Scion dealerships reasonably close, I know some of the people working at two of them because of the dealership’s activity and strong support of the local Scion community. I will be considering one of those. It is a “friends map” to show how you and your friends (people with some sort of common interest) relate geographically. Right now the only Frappr Map I’m a part of is one started up by David (skybiker) at ScionLife. It is an interesting project in showing the distribution of ScionLife members (at least, those members who sign up), and therefore Scions.